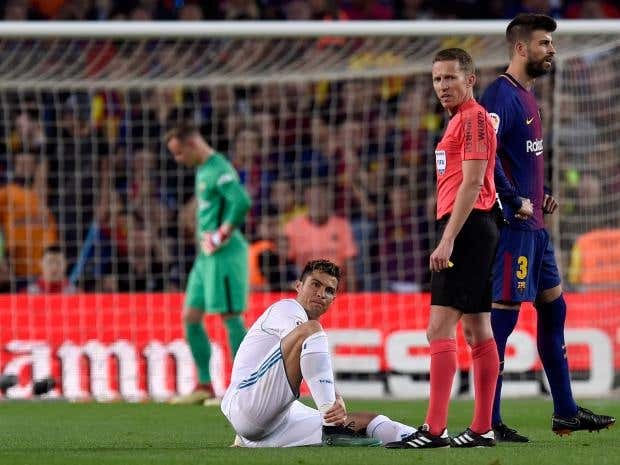 Zinedine Zidane refused to put a time frame on Cristiano Ronaldo’s injury absence after the forward had to be substituted at half-time in an entertaining 2-2 draw against Barcelona. 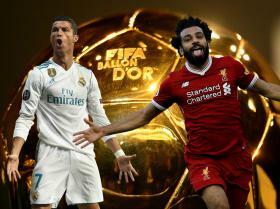 Ronaldo had cancelled out Luis Suarez’s opener for the unbeaten La Liga champions, but picked up an ankle knock while tapping in Karim Benzema’s header back across goal from Toni Kroos’ cross. With the Champions League final against Liverpool three weeks away, Zidane insisted it was too early to speculate about the extent of the injury. “I don’t know how long he’ll be out,” the Frenchman said in quotes reported on Real’s official website. “He said it wasn’t much, but we’ll see tomorrow. Gareth Bale then curled home a first-time effort with 18 minutes remaining to leave Real three points behind city rivals Atletico in the race for second, albeit with a game in hand. “I’d have liked to have won,” added Zidane. “There was nothing at stake but it was a good Clasico – high intensity and chances. They played well and so did we. “Everyone who likes football can be happy with a game like that. Football is always more important than the controversy that you want to create. Barca boss Ernesto Valverde was pleased with the way his side went about their business with 10 men. “We made a great effort, since playing with a man down is never easy, still less against Real Madrid because they always find spaces,” he said in quotes on the club’s official website. “It was a very intense Clasico and we all want to win, in a game of this kind there is always tension. 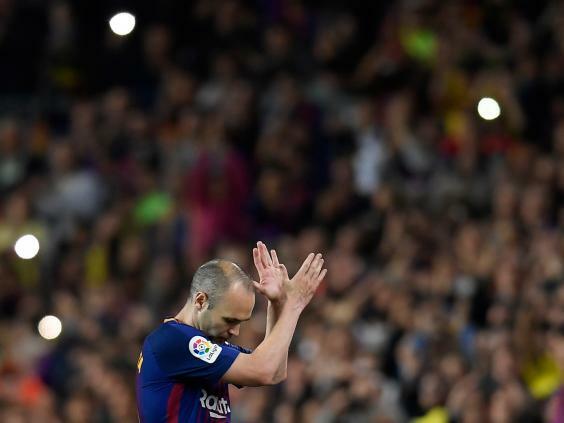 With Barca’s title already assured and Real’s minds elsewhere, there was a strangely muted atmosphere at the Nou Camp for a game only really notable for it being the final ‘El Classico’ for Barcelona great Andres Iniesta. Suarez saw an early effort blocked in the box, but the Uruguayan struck in the 10th minute when he met a Sergi Roberto cross with a delicious volley at the far post to put his side in front. Five minutes later Real were level, Benzema meeting a Kroos cross with a header down in the box for Ronaldo to sweep home the equaliser from close-range. 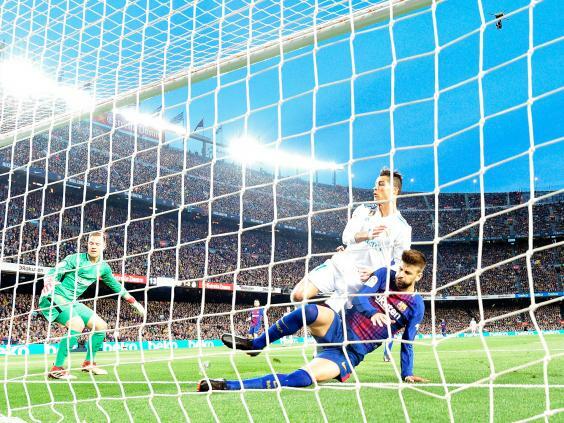 Both sides had their chances to go in front with Jordi Alba and Ronaldo both heading over the bar, then Luca Modric threaded a brilliant through-ball to Ronaldo who was only denied by a superb save from Marc-Andre ter Stegen. 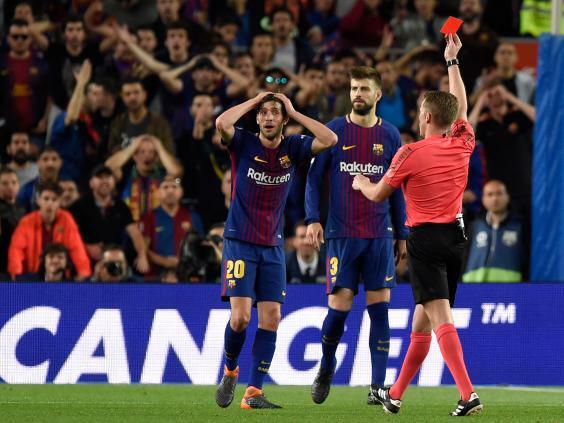 Real keeper Keylor Navas saved superbly from Messi before Barca’s hopes were hit in first-half injury time when Sergi Roberto and Marcelo appeared to clash off the ball, and the home player was issued a straight red card. 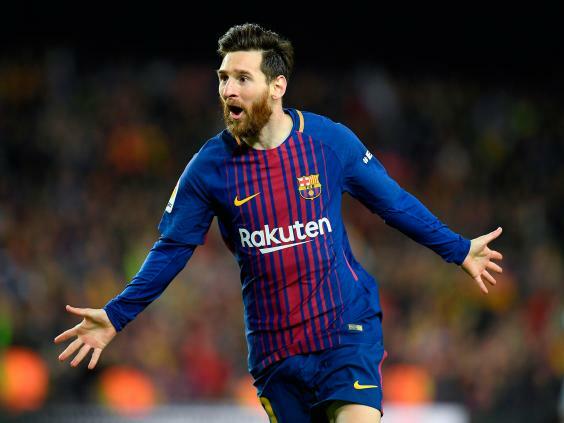 Barca made light of their one-man disadvantage as they restored their lead in the 54th minute, Messi finishing off a swift counter-attack with a curling shot past Navas. 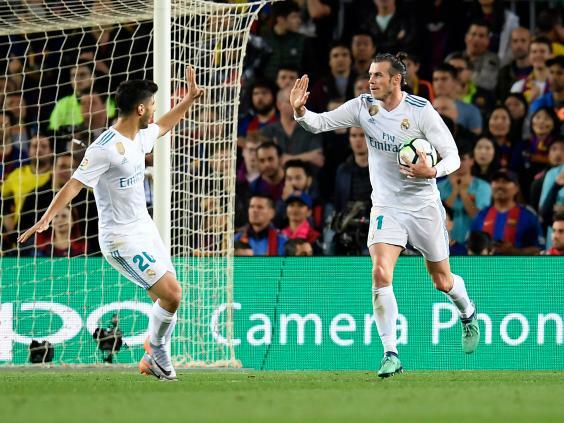 But Real hit back in style with Bale, who had been a virtual passenger up to that point, eased into a scoring position by a Marco Asensio through-ball, and capitalising by striking a superb effort beyond the reach of Ter Stegen. Real dominated the later stages of the game as they sought to end their opponents’ proud record this season, but the hosts held firm.